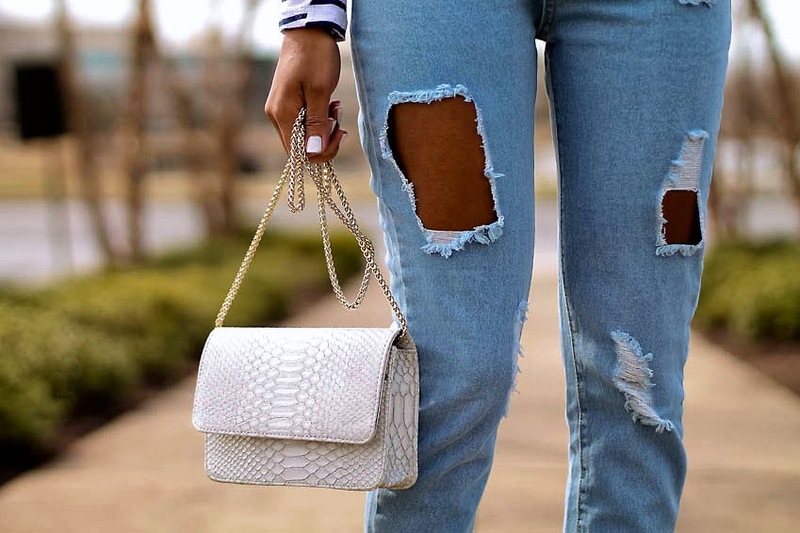 I love the style of these jeans -- high waist, cropped fit and destructed. Jeans with character. I love this look! I especially love the combination of stripes and leopard. I agree! Plenty of character in these jeans. This ootd is spot on! I just saw your site, and I have to say that I LOVE your sense of fashion. You carry everything so well!!! Love this look! So simple and clean! This outfit is fab! Those jeans fit you wonderfully and look great paired with the sweater. I love everything about this look, I need to get a pair if those jeans. Your sense of fashion is too fab! I am in love with those jeans!!! I would like to order some! Do they run small? Thanks it would be so helpful to know!